Brighton's landmark Victorian tower, The Pepperpot, formerly housed the studio of sonic sculptor Ken Gray during the 1970s. Since his heyday the building has fallen into disuse, but for one afternoon only, local electronic composer and visual artist, Ian Helliwell, forges a link with this forgotten electronic history, by demonstrating and performing with some of his self-built Hellitronic sound and light machines inside the tower. 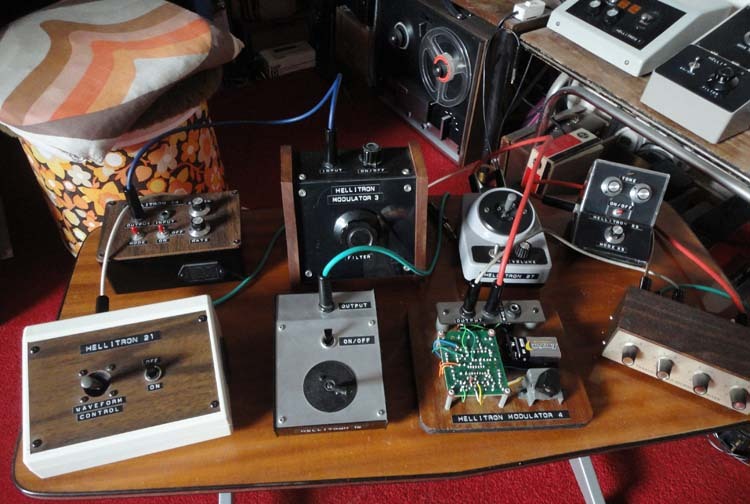 Ian has written a book, Tape Leaders, an anthology of early British electronic music composers including an entry for Ken Gray, and his unique Hellitron tone generators have been used to make the soundtracks for more than 100 of his short films.